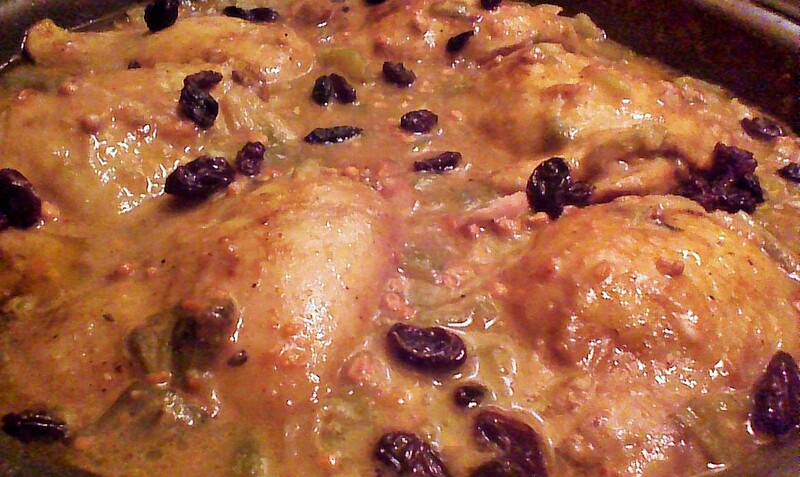 This recipe for Chicken and Okra was generously submitted by Sheryl Slocum for inclusion in The Global Recipe Project. Sheryl once lived in the north-central African nation of Chad, and pointed out that recipes based upon weights and measurements are really a Western idea. Her recipe, below, reflects this reality. Thank you, Sheryl! Chop garlic and onion; fry in oil. Add water and/or chicken broth. Add pieces of chicken (I like legs and thighs, but it is a matter of taste). Add lots of cut up okra. Add curry, ginger, cardamom, chili powder (or something to give hotness). Salt and pepper (significant salt). Let cook for a long time till the okra is cooked down, stir periodically so nothing burns to the bottom, keep adding water/broth as needed until the okra is cooked down. Add peanut butter with a heavy hand, stir all together (Don’t add peanut butter too soon or it will sink and burn on the bottom of the pot). Although not Chadian, I sometimes add raisins. Best when served with Maggi sauce (like a soy sauce). Serve over rice or with boule. Boule is a starchy dish sort of like mashed potatoes. Boule is the staple of Chadian diet. This entry was posted in Main Dishes, Uncategorized and tagged Africa, Books, Chad, cookbook, Cooking, Food, Nonprofit, Recipes. Bookmark the permalink.